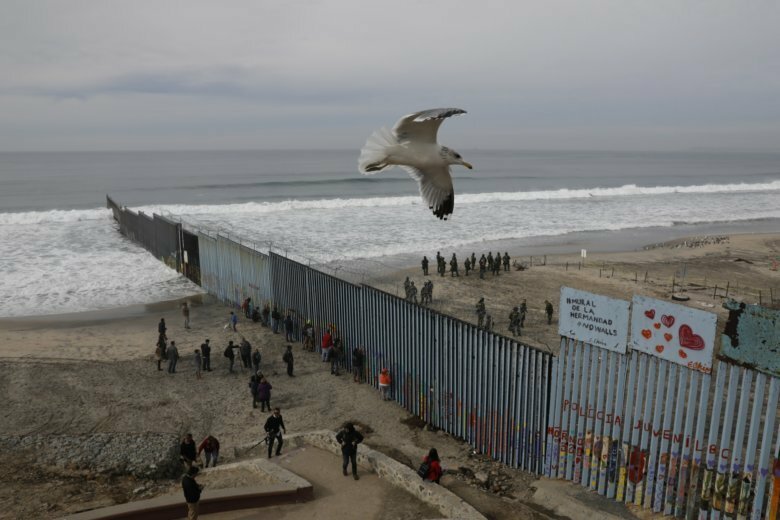 PHOENIX (AP) — The White House has touted a two-mile stretch of fencing President Donald Trump is visiting Friday as the first section of his proposed border wall to be built. Construction for that small chunk of fencing cost about $18 million, began in February 2018 and was completed in October. Plans to replace that fence date back to 2009, during the beginning of former President Barack Obama’s tenure. Contractors have been doing site and preparation work for 13 miles of barriers in the Rio Grande Valley that will be Trump’s first new fencing. The administration said construction could begin as early as this week. The administration is also in the process of replacing 14 miles of fencing around San Diego. But they were demolished in February. The nearly $3 billion that Congress provided for barriers during the first half of Trump’s term requires the money be spent on designs that were in place before May 2017, which meant the prototypes couldn’t be used. Several organizations brought lawsuits over the declaration, and House Speaker Nancy Pelosi said Thursday that Democrats also planned on suing to prevent Trump from “stealing” money from federal programs and diverting the money to build a wall.